An important explorer, researcher and historian, Don Fetterly passed away unexpectedly, doing what he loved: searching for WWII aircraft wrecks in New Guinea. 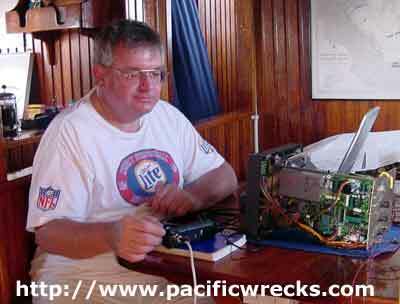 Aside from all of his important discovereis, he was always willing to share photos and information with PacificWrecks and the world. This update is dedicated to his memory and work. Also, the passing of several veteran friends. 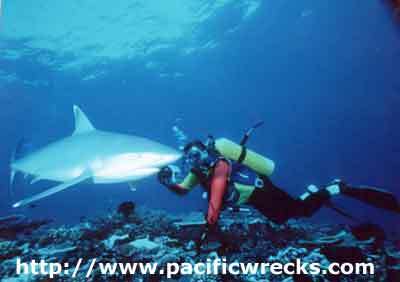 Don Fetterly passed away October 20, 2005 after suffering a stroke in Papua New Guinea, while doing what he loved: diving and searching for WWII aircraft wrecks. Don's great passion was researching possible crash sites of WWII Allied aircraft in the SWPA that were in the sea and following up this research with an expedition that he would fund himself to locate the site. He had many success and effected closure for the families of a number of MIAs. He was the among the first divers to the SS Masaya, s'Jacob amd President Grant and aircraft B-24 "Crosair" 41-23752, Beaufighter A19-130 and an A6M5 Zero, among others. This year was to be no different. He had hired Rod Pearce for ten days and had brought in a German documentary film producer to search for a B-25. Don was well known throughout veteran associations and with the PT Boat association. Several veteran friends passed away in the past months. This month's update also pays repsect to them. A veteran of 68 low-level combat missions with the 'Roar'in 20s' 312th BG. His A-20 was named "Je Reviens" after a book he read on the long journey overseas. I had the pleasure of meeting him in 2000, and kept in touch ever since. He passed away this summer. Rescued two P-40 pilots in New Guinea: American Nelson Flack and Australian Colin Harvey. He also flew in the Philippines. 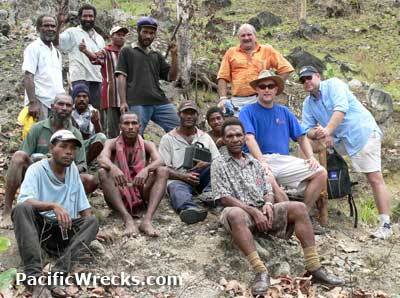 I first met him in 2004, after the discovery of his L-5 42-98066 by John Douglas in New Guinea. 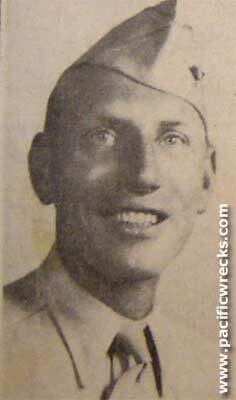 Earned the Medal of Honor for conspicuous heroism and courage above and beyond the call of duty as Leader of a Marine Fighting Squadron 224 in aerial combat with enemy Japanese forces in the Solomon Islands Area, August-September, 1942. Galer passed away on June 27, 2005. Includes a visit to Schwimmer Drome (14 Mile), and the famous, but difficult to locate wreck of John Jackson, the RAAF pilot of P-40E A29-8 shot down, for whom Port Moresby's airport is named in honor, Jackson Airport (7-Mile). Also, the discovery of five US Army dog tags. Does anyone know these names to return them? One Recovery Team from the Joint POW/MIA Accounting Command will deploy from Hawaii this week for approximately two months to conduct operations in Washington state in hopes of bringing home remains of Americans still missing from World War II. This is the first Joint Field Activity mission in the continental United States since 1996 for recovery at P-38E and SBD-5 crash sites. Discovered by hikers on Mount Mendel, CA. This glacier-entombed corpse is believed to be a World War II airman who likely died in a 1942 training flight, and was never located. Review news stories about this discovery and find. JPAC also was dispatched to this site. This DVD has a running time of one hour and two minutes, contains color movie and slides, and runs for 1:02 hours. In historical and cinegraphic terms, our view is that the contents of this DVD are both unique and rare.